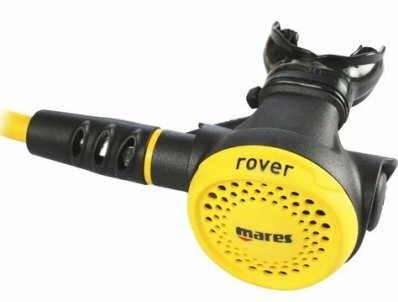 Aqua Lung offer several types of Octopus 2nd stages to meet the varying needs of divers. 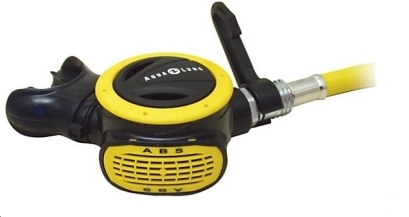 The New ABS Octopus combines excellent breathing performance with the benefits of a low profile body style. Free standard shipping for orders in contintental US! 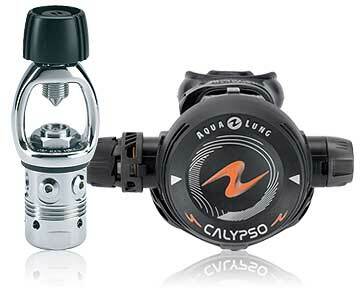 Aqua Lung is proud to introduce the fifth generation of the popular Calypso regulator. This simple design, with its attractive price, makes it a popular choice for dive lockers as well as new divers. It is compact, lightweight, easy to service and it breathes like a regulator that costs much, much more. For those in colder climes, youâ€™ll be glad to know that this work horse regulator is coldwater compatible having surpassed the CE norms for cold water. Free standard shipping in the continental US! Auto-Closure Device (ACD) seals the regulatorâ€™s inlet fitting, both Yoke and DIN, as soon as the regulator is removed from the cylinder valve. This will keep water and contaminants out of the regulatorâ€™s first stage during rinsing and storage. Free ground shipping in US! 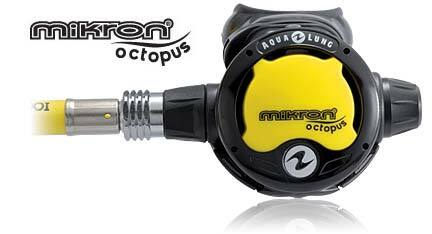 Aqua Lung has once again raised the bar on regulator design with the release of Mikron â€“ the smallest and lightest weight regulator in the line.Â Weighing in at just 26 oz. (din) and 31 oz. (yoke), the traveling diver will benefit tremendously. 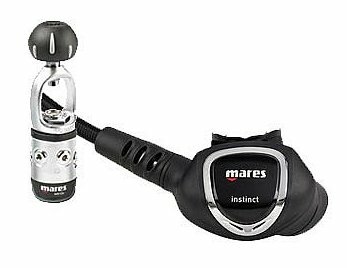 Even more amazing is that performance is not sacrificed by the extreme compactness of the regulator.Â Its balanced first and second stages produce exceptional breathing performance. Aqua Lung is proud to introduce the third generation of the Titan regulator. 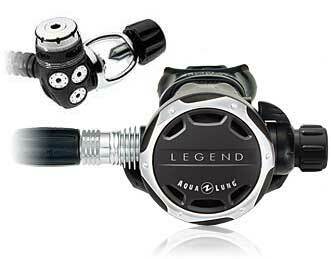 The new Titan incorporates the best features from the first two generations plus sprinkles in some Aqua Lung know how. 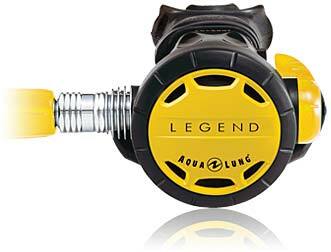 The result is a comfortable, light-weight, easy-breathing regulator that is filled with innovation. From the consumer that wants performance at an affordable price to the dive center that wants ease of maintenance, the Titan delivers. Prestige 12S, the regulator you want! More compact and even lighter, it achieves maximum compactness in the new DIN version. The four low-pressure ports are pre-oriented and allow for optimum arrangement of the hoses, which are now even softer and lighter. A medium-size second stage offers easy, natural, regular breathing. This medium-size octopus made of techno-polymer features a cover made of soft material so that the purge button is easy to push. 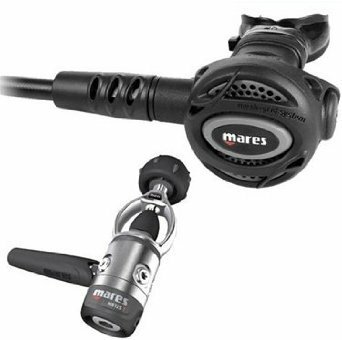 All Mares second stages are a reliable downstream valve design and offer the unique patented Vortex Assisted Design (VAD) system. The air bypass tube conveys air to the mouthpiece creating a swirling vortex with a low pressure area in the center that keeps the diaphragm down during inhalation, for very sensitive and easy breathing at all depths. The second stage cover features the new "mesh-grid" system for water inflow and outflow, which provides a further performance improvement. The patented mesh design of the second stage cover reduces the pressure of water flowing onto the regulators diaphragm and minimizes free-flow. Even in a strong current it eliminates the need for a knob to de-tune your air delivery system- advance technology through basic physics.